Post-pneumonectomy. There is complete opacification of the right hemithorax. 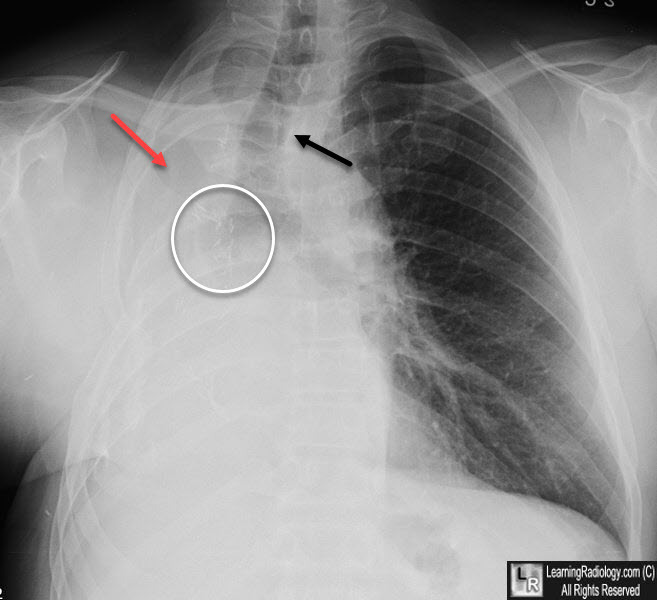 There is a shift of the heart and mediastinal structures, such as the trachea (black arrow) towards the right indication volume loss. 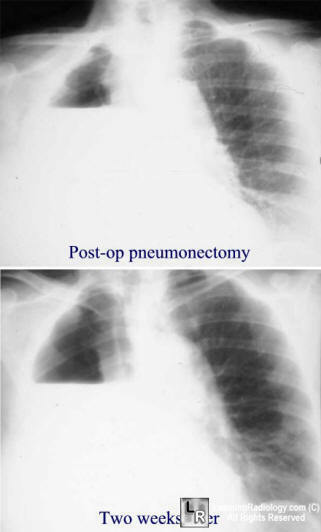 The right 5th rib is surgically absent (red arrow) from the surgery. There are multiple surgical clips seen adjacent to the stump of the right main bronchus (white circle).